The idea-- I've been teaching the infighting seminar for a little while. In a lot of ways it is hardest for me to teach, because it is the thing I do least consciously. And when you try to take something that is not in words in your head, the words you wind up using can sound pretty weird. Two of the things that have been coming up consistently in the infighting seminars are structure and void. The mechanics of skeletons (structure) and how those interactwith empty space (void). If you grasp it, you can organize a ton of material in those two concepts. Jake likes to experiment. When he saw me post on the blog that I was toying with the idea of teaching a class just on two fundamental principles, he wanted to run with it. The class was yesterday. Debriefed with a couple of students last night. Deconstructing it today. 11 people attended. Three extremely experienced MA/instructors, two complete beginners, the rest with varying degrees of experience. Four had trained with me multiple times, two or maybe three had trained with me once before, just under half were strangers. Four women, seven men. One wheel-chair bound. I would say tradition jujitsu and muay thai were the most represented. Covered: What each student though was meant by "structure & void" in the first place. Parlor tricks with structure (e.g. "unbendable arm"). Power conservation, including pocket structure and how to structure circular strikes. Bone slaving. Application of leverage. Spine extension. Working into the skeleton vs. breaking connection with the ground. Using the threat's structural weak and strong lines to increase damage or to unbalance. Structure and balance on the ground. Swimming, shrugging and posting. Angled structure, sawing and rolling bones. Dead zones (did I cover that explicitly?) Offensive and defensive use of voids. Creating, finding and filling empty space. Void zones in balance (one can only fall into space, not structure. Dropping into a created void. Chock blocks. Defensive use of the threat's structure. Constant forward pressure as a game of impact, compromise and pivot off the impact point or into the available void. I'm a terrible judge of my own work, and the formal AAR process deliberately avoids "what went wrong". From the debriefs and the after class ritual, the people who attended enjoyed it and got a lot out of it. As expected, the beginners and senior practitioners got very different things out of it. One of the beginners found it very intuitive. That leads to big gains fast. The seniors were using it to organize things they already knew and to make some things explicit that students often miss. All of the teacher levels expressed that they were struggling with how to integrate it into their regular classes. That goes in the "went well" section because it means they thought it was worth integrating. Organization. Heard at least one "drinking from a firehouse comment." I think if I organized it better, the information received would be the same, but would feel less intense and retention would be better. Organization II. Normal for a beta-class, but I was constantly remembering nuances or making connections that were not in the lesson plan. Organization III. List the parts, drills and pieces of class and put them in the order that they play off and reinforce each other. Makes it easier for people to grasp and retain. Teaching methodology. Classes at this level should be extremely interactive. I got time conscious and wanted to make sure people got all the information they paid for. Not sure anyone noticed except for me. Could be solved with more time. Teaching methodology II. Having a unified game to bring all the parts back to for experimentation is central to my usual teaching module. The best game for this material is infighting randori, which is pretty intense for a seminar format. Also, requires more time and might shift Structure and Void to be a mini version of infighting. Personal. Working with someone in a wheelchair I was shocked by how much I take for granted about my own physicality and how little I knew about different, less obvious effects. Like not being able to work core muscles. For class purposes, some things will simply not be possible and some require crazy work-arounds that may not be efficient enough to be worthwhile. Between the two of us, we knew enough about physiology to get most things to work, but I'm a little humbled. Equipment. I should not be allowed to teach without a dry erase board. Complacency. I get pretty foul-mouthed. Play more. Feedback from the beginners was that often the words were confusing until the physical parts of the exercises, and then it came together. Must remember that this is experiential, touch is the only way to learn to fight. Train with respect to that. 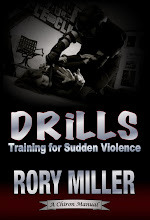 Ground part was important, but I cover it better (more time) in the 2-day Intro to Violence. Too big a chunk out of a four hour class. Maybe. there are really important aspects of structure and void that are more apparent on the ground than standing. Have to think this one through. That should be enough to work on to keep me busy for awhile. Time to get moving, though. And this will be fun, and busy, and intense. The first two workshops will be this weekend. Saturday, a one-day intro to violence. The usual: Efficient movement, fighting to the goal, a quick overview of SD law, of context, of violence motivations and dynamics. Power and counter-assault. More if we have time. Then to Manhattan for a pair of evening workshops on the 16th and 17th. Gonna cram as much data in the first evening and principles-based physicality in the second as I can. The following weekend in Rhode Island at "Just Train" will be an instructor class, "How to Run Scenarios". Scenarios are easy to do, but hard to do well. And if they're done poorly, they can mess students up on multiple dimensions. The next week, three of the days will be spent filming Drills for YMAA during the day. 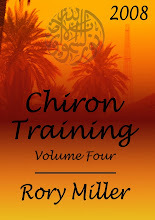 Evenings, the plan is to run the CRGI/Chiron Instructor Development course. Specific material on teaching principles-based self-defense, limits of knowledge, trouble-shooting difficult students, developing and maintaining rapport with specialty teams-- stuff like that. It's _going_ to happen, even if we haven't hammered out exact location and price point. If everything falls through, I'll get with the interested people and do the class over dinners. And then top it off with an infighting weekend at the Metrowest Academy in Natick. Martially, InFighting is the thing I love above all things, and a traditional JJ school will have a lot of the fundamentals down, so there will be some good people to play with. Then home, for a few days, before hitting the skies for Europe. I like the word "abandon" and it has been coming up a lot, lately. There are three (at least) instincts when faced with chaos and danger. The most common is to try to control it. To minimize the chaos, to minimize the danger. To basically take chaos and and make it "not chaos." Whatever the opposite of chaos is. When you can do that, it's a powerful strategy. Damming flood-prone rivers has been so successful that only historians have a grasp on the immense damage that unpredictable flood cycles used to do. An aircraft carrier constructed of 60,000 tons of steel and powered with nuclear engines can ignore all but the most extreme weather conditions. I would say that is the second most common strategy. Evidently, people prefer even an evil stability to all of the possibilities that come with freedom. But that's a long talk over coffee. The most common strategy is to pretend to control it. You can, with enough resources, control things you understand. Without an understanding, and a fairly deep understanding, all attempts to control become a gamble. Most common example is central planning of an economy. The planners would have to deeply understand a huge number of industries, the interplay between those industries, and somehow have to correct for the fact that a large number of humans, the cleverest monkeys ever, will be actively trying to subvert the system. This is what Nassim Nicholas Taleb calls "Naive interventionism." "Something must be done! We don't understand the problem, actually, and have no idea if what we are going to do will actually work or make things worse... but something must be done!" On the micro, we have martial arts. Which are largely a stylized, impressionistic, ritual of violence and controlling violence. "When you achieve your black belt, you will be ready." Ready for what? You can't know the answer to that simple question-- no one gets to know what bad stuff the future holds. If you can't know the question, you should be incapable of feeling confident in your answer. But people feel confident all the time. Like economics, violence and self defense always involve other people, and people are the cleverest monkeys on the planet. It's not just mechanics, but mechanics applied against a moving target who may understand what is going on better than you and certainly wants you to fail. And each of those people will be different in some way. The third strategy is to give yourself up to the chaos. Abandon. To immerse yourself in it. Not become part of it, but recognize that you have always been part of it. You have always been one of these adaptable, clever, frequently unpredictable monkeys. This (whatever 'this' is in a given context) can be chaotic, but not beyond what the human brain and body evolved to solve. It's scary-- humans prefer even an evil stability to chaos. But it is also powerful. And it works. It takes confidence, but also builds confidence. And there's no way to learn it theoretically. You have to get in and mix it up. Take chances. Push the edge of the envelope until the envelope changes shape. It also requires faith. Not in the religious sense. Dangerous stuff is dangerous precisely because you can get hurt. Chaotic means that you can't know the outcome. And jumping into that with both feet pretty much defines faith. Or stupidity. No one gets good at this stuff because of their overabundance of common sense. To an intermediate grappler, a beginning grappler is completely under your control. You just make him do what you want him to do. "We train not to go the ground in our dojo. If you're facing a grappler, all you have to do is..." says the man who has never grappled. The superior grappler doesn't bother to control the intermediate grappler, because everything is a gift.